SESSIONS: Join us for an evening of Jazz, Fine Bites & an assortment of sounds & atmosphere. As we set sail with Emile Poree as the navigator with Jeffrey Connor on Bass plus A-Ski on carefully hand picked JAZZ selections. 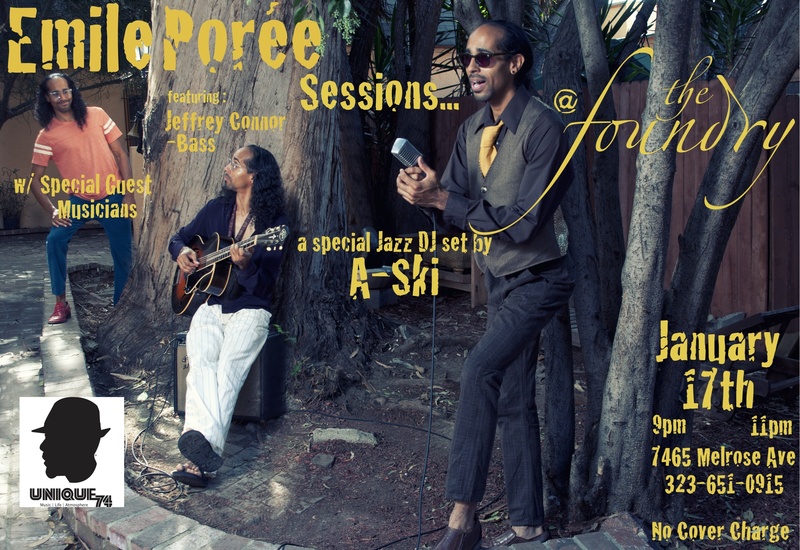 We encourage you to endulge this Thursday Nite @ THE FOUNDRY on MELROSE. No Cover. This entry was posted on January 12, 2013 by unique74mag. It was filed under Uncategorized and was tagged with A-SKI, Emile Poree, JAZZ, Jeffrey Connor, THE FOUNDRY on MELROSE, Unique74.